I’m excited to begin working with Lehman College in The Bronx to refresh and update their imagery for upcoming promotional campaigns. 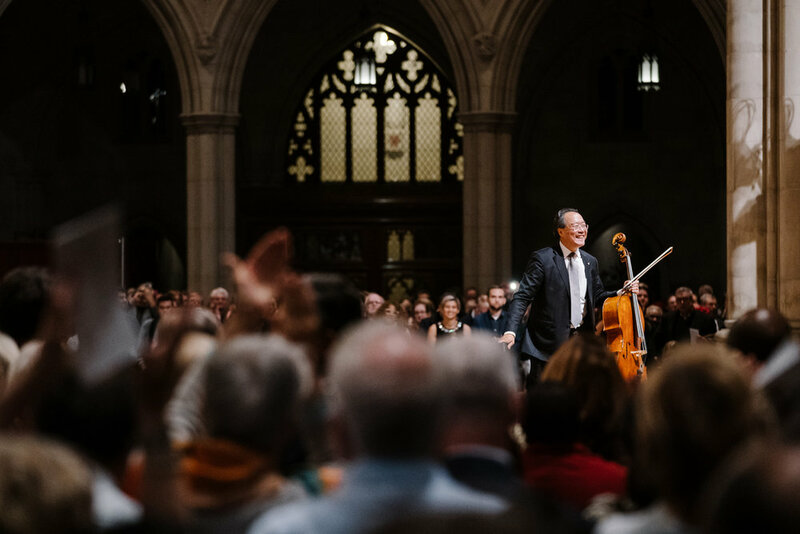 Yo Yo Ma performed Bach’s Six Suites for Solo Cello at the Washington National Cathedral on November 29, 2018. Manhattan School of Music recently engaged Holzman Moss Bottino Architecture to reimagine its campus coinciding with its 100 year anniversary celebration. The newly renovated Neidorff-Karpati Hall serves as the school’s centerpiece with flow in and out of the building being shifted from 122nd St to Claremont Ave at the hall’s entrance. I recently spent a day in Washington DC for Turnaround for Children to document their work supporting the academic culture in DC Public Schools. Katie Couric & Seth Meyers speak at the 2018 Human Rights First Awards Dinner at Chelsea Piers’ Pier 61. Violinist Grace Park performs during the finals of the Naumburg International Violin Competition at 92Y in New York City. Carnegie Hall has been extensively photographed so it was my aim to depict the space not from the view of a benefactor but from the perspective of the Average Joe’s seat. This presents a number of challenges seeing as though the stage is brightly lit and the seating is almost completely darkened during a performance. Great care was taken to blend multiple exposures in such a way that preserves the look and feel of concert lighting while still highlighting details throughout the image. Photographed on the Sony A9 and Sony FE 24-70 f/2.8. Manhattan School of Music is a conservatory located in the Morningside Heights neighborhood in New York City. We begin a project to photograph many of the spaces within the campus beginning with the intimate Soloman Gadles Mikowsky Recital Hall, named after a revered professor of piano at the school who donated money for the space. Located high on the SE corner of the building, the room receives natural light throughout the day. There is a serenity to the space which is unable to be captured in a single exposure as depicted by the second image below. Through a process of combining a number of frames, we were able to generate a final result which preserves the concert goers impression of the lovely hall. 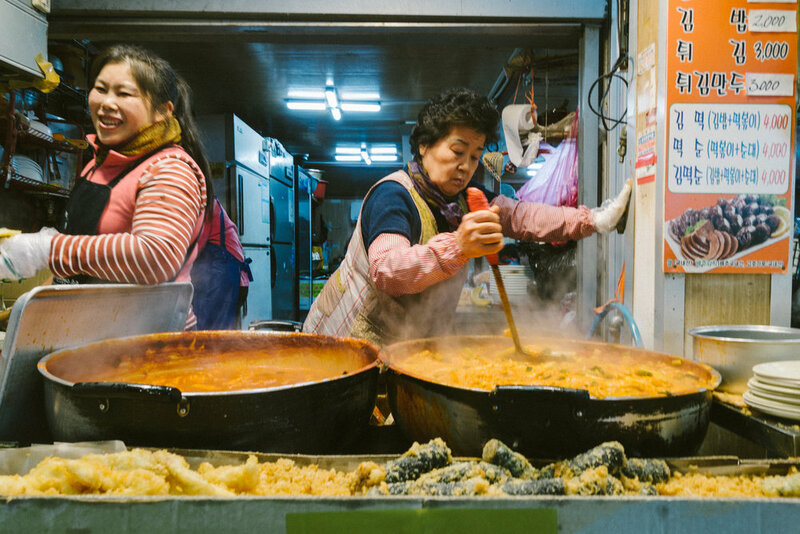 Photographed with the Sony A7r III & Canon 24mm TS-E. Photographers looking to expand their creative possibilities beyond the offerings of most silver halide labs will find Canon's imagePROGRAF Pro-1000 Printer to be a brilliant yet somewhat crippled tool, unable to fully utilize its 17" capability. Even so, stunning prints with little effort, no matte/glossy ink switching, resistance to clogging, and excellent build quality make this my choice in the category. If you come with a working knowledge of printing and color management, you can be making beautifully detailed enlargements which exceed lab quality within an hour of opening the box. The Pro-1000 ships with ICC profiles for Canon media as well as a handful of 3rd party papers so you can be up and running with fine art stock right away. After initial setup, the 80 mL ink tanks sit at about 50% capacity. The biggest drawback of the Canon Pro-1000 is the print driver's maximum paper size limit of 17x22. You cannot set a page size of 17x25 or longer. I am going to assume that the majority of photographers using this machine will be shooting with dSLR's in a 3:2 aspect ratio so this is a definitely a disappointment as it is impossible to make a 16x24 print. Epson offers an optional 17" wide roll media adapter for the P800 and you can easily set a custom page size to allow for a 16x24 or wider print. As on other Canon machines, there is no wasteful switch between matte and glossy black ink tanks. I for one love matte and fiber based papers so this makes the Canon a no-brainer for me even if I can't print 16x24. Some may argue that on the Epson it's just a few mL of ink per switch but that's potentially one less 8x12 you could have printed every time you swap. If your print volume is low, waiting till you have a sufficient queue of matte or glossy type prints to make isn't always practical. Canon's print head technology also makes it possible to go longer without the effects of clogging like you can experience on Epson if you aren't printing frequently. This means fewer head cleanings and less ink waste. The Canon will map printing to different nozzles as they clog over time. Once all of the remaining nozzles are spent, a user replaceable print head is available for purchase. On an Epson, you must print frequently to keep the available nozzles clear. The Epson print head itself has a longer life span than the Canon but requires a service call for replacement. The Canon Pro-1000 sports a sleek, modern facade while Epson's P800 is comparatively boxy and functional in appearance. I also find the design of the Epson's front panel, buttons, and use of some shiny plastics to be less professional looking. This is not a big deal and has no effect on prints, but if you live in a NYC apartment a 17" printer becomes a prominent piece of furniture. An auto and manual paper feeder on the rear of the Canon offer paper loading of various thicknesses and a vacuum keeps the paper loading flat under the print head. I do miss the convenient front paper loader on the Epson but it does lack a sheet feeder vacuum. I have experienced zero paper loading issues on the Canon. 11 ink tanks + chroma optimizer offer a wide gamut of colors using a new set of Canon Lucia Pro 80mL ink tanks. The economics of printing on this machine remains to be seen but we can assume there will be an improvement per print over Canon's older 13" models due to the larger ink tanks. Printing through Lightroom's Print module and configuring using the Canon print driver is straight forward. I bypassed the printer managed color except when making B&W prints on Canson's Rag Photographique. Canon's B&W rendering resulted in great prints with little tweaking. I settled on a +5 brightness setting to achieve desired results. Softproofing in Lightroom using the included ICC profiles was very close to the final print. If you like to switch between matte and glossy paper frequently and can live without 16x24, Canon's imagePROGRAF Pro-1000 is an excellent tool. In my opinion, the Canon is more suited to portrait or wedding photographers printing at 16x20 or smaller on both matte and glossy paper. The Epson may be more appropriate for a landscape photographer who prints large panoramas, prints often, and isn't switching media type frequently. Guitar virtuoso David Russell gives a masterclass at Manhattan School of Music.